In this article I will explain how we can create websites which are driven by seo friendly urls with out using htaccess. When we use HTACCESS for SEO friendly redirections, we use mod_rewrite module of apache. 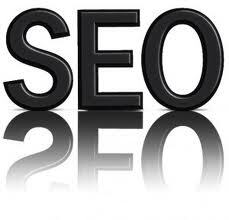 We can create seo friendly url driven site with out using the htaccess mod_rewrite module functions. take this url path as example "http://www.myphpwebsite.com/"
The content for this page will be populated based on a parameter "content"
You will be showing contents by including a file which is identified by the supplied parameters. you will be including a file like "home.php" into the main page ie, "index.php"
Dont think I had diverted from the point....:) I am coming to it.. I am explaining the stuffs based on an assumption that out Main page "index.php" is using one parameter and the way it uses the param plays the trick of feeling like SEO friendly Urls. You have to set the directory Index of your root folder to index.php. so Let see how it can be accessed in the main page "index.php"
For proper working of the following code, the file name of the included file and the supplied parameter key should be same. Here I had used only single parameter to define the pages, you can modify the script and make it as multi param driven.